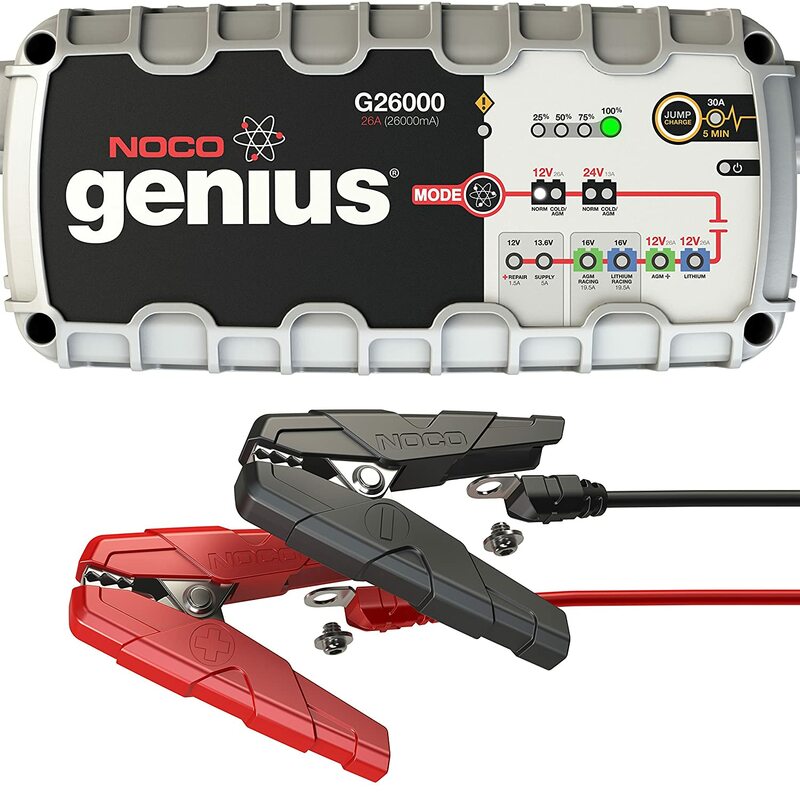 Easy connection to motorcycles and vehicle battery using the included battery clips and O-ring terminals, DC cord total length of 12ft. 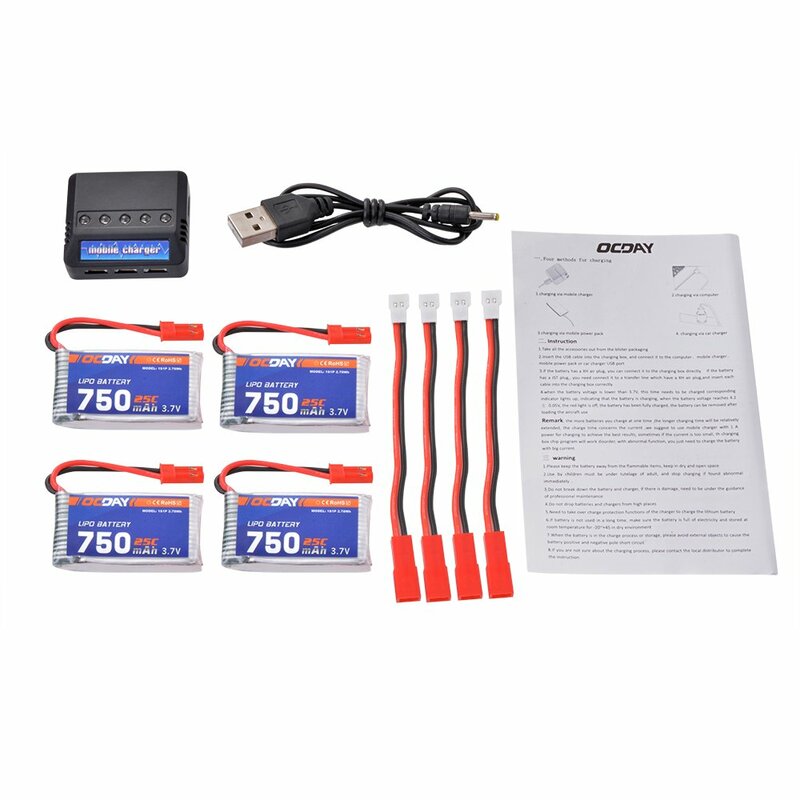 Complete 4-step charging program (Initialization, Bulk Charge, Absorption Mode, Float Mode) allows for optimization of battery power, without overcharging. 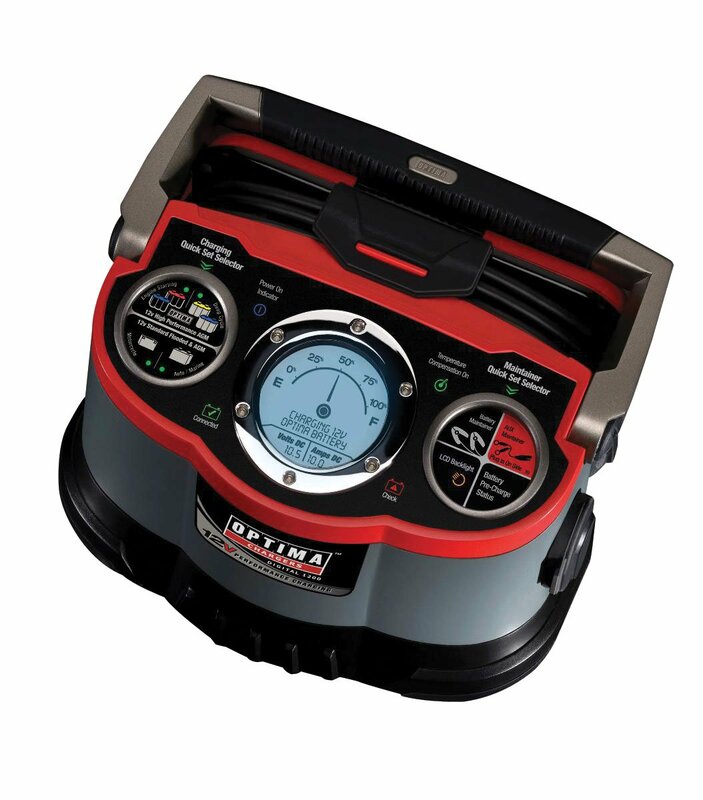 Spark proof during lead connection, reverse polarity protection, overcharging / over temperature protection, short-circuit protection, Bad battery identify and power down memory function. 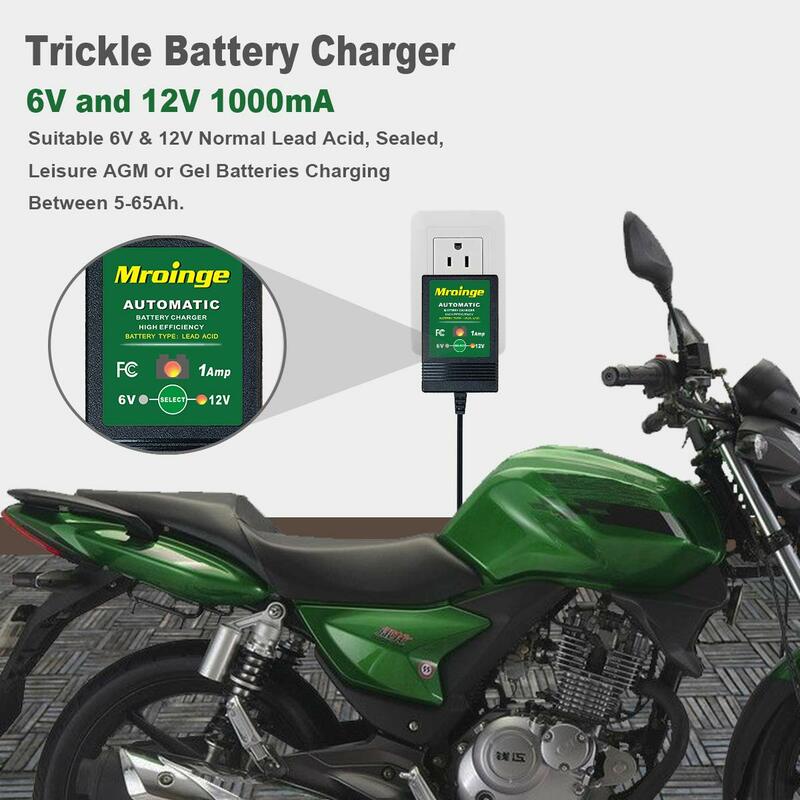 Automatic charge cycle functionality switches to float mode after fully charging the battery. 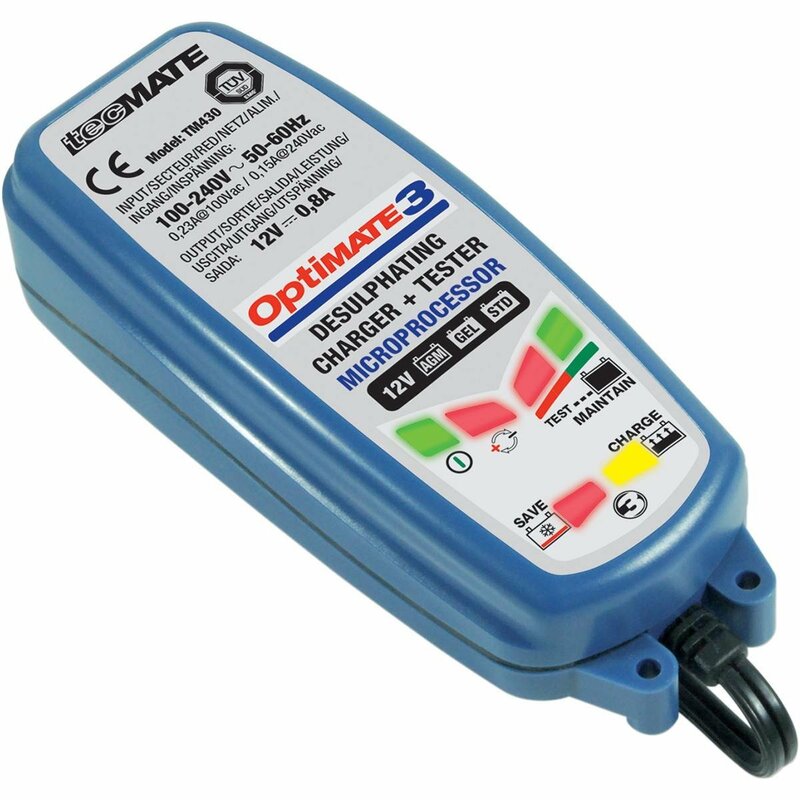 The built-in two color LED indicates stage of charger. 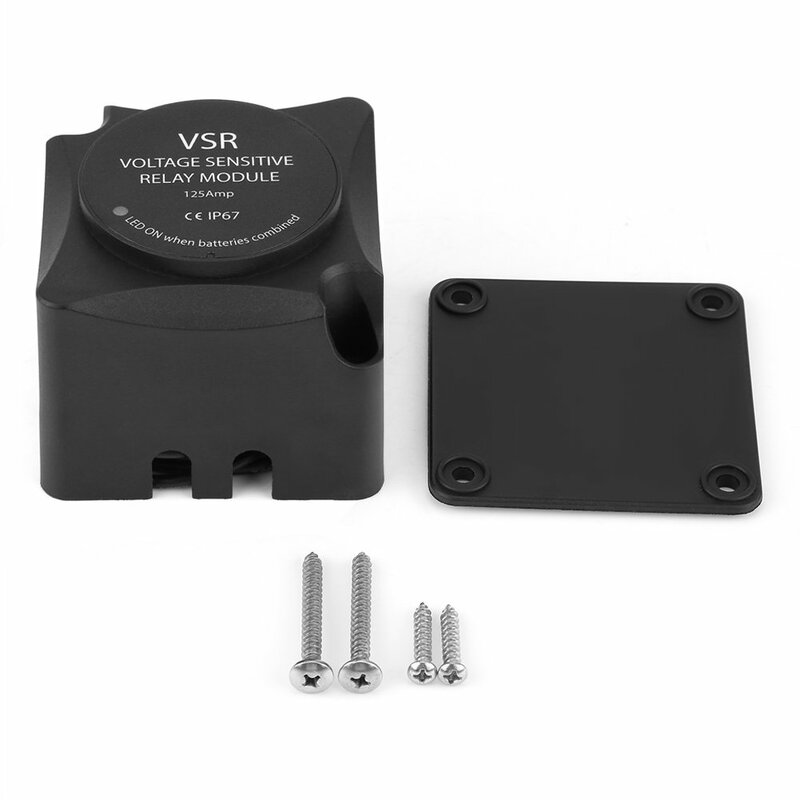 Separate button is available to select 6V/12V mode. Two year warranty. 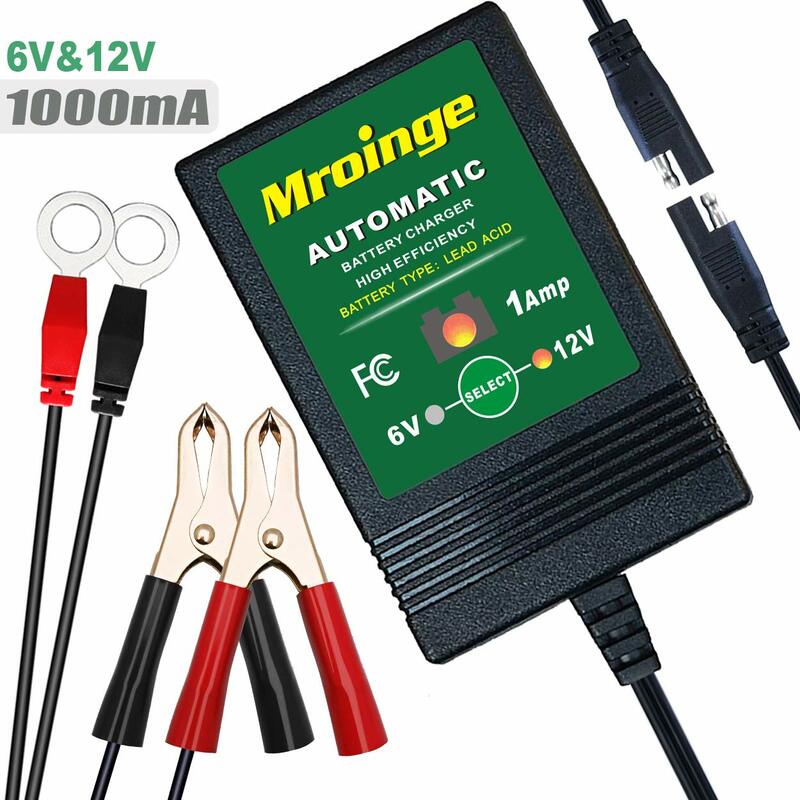 Morange 6V/2V Battery Charger is much more than a . 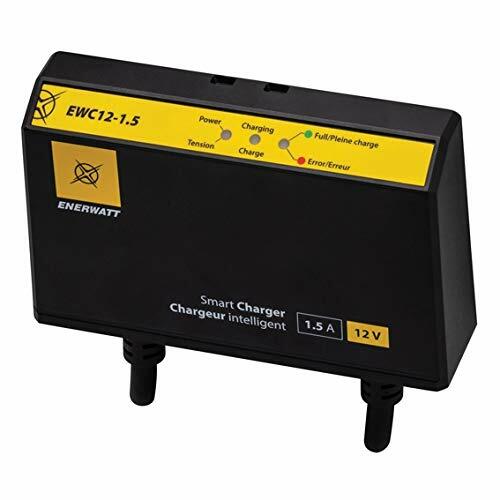 It has a brain, is lightweight, compact, fully automatic and very easy to use especially in small spaces, that digitally controls the stages of battery charging (Initialization, Bulk Charge, Absorption Mode, Float Mode). 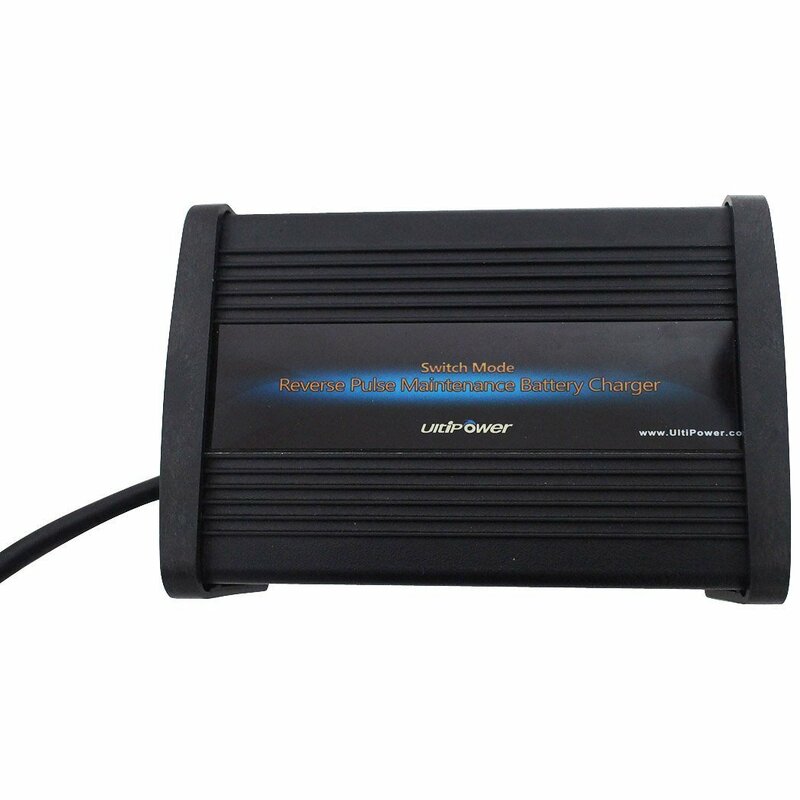 The charger come with power down memory function, so the charger will re-start to charge the battery automaticlly when the main power recovered. 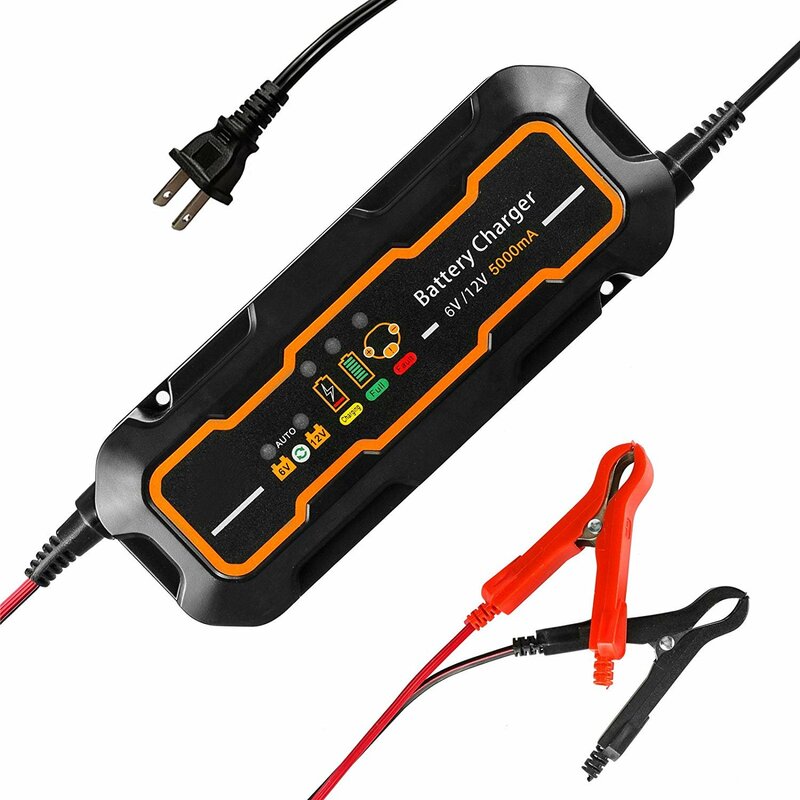 This battery charger will keep the battery fully charged so that it is ready to go always. 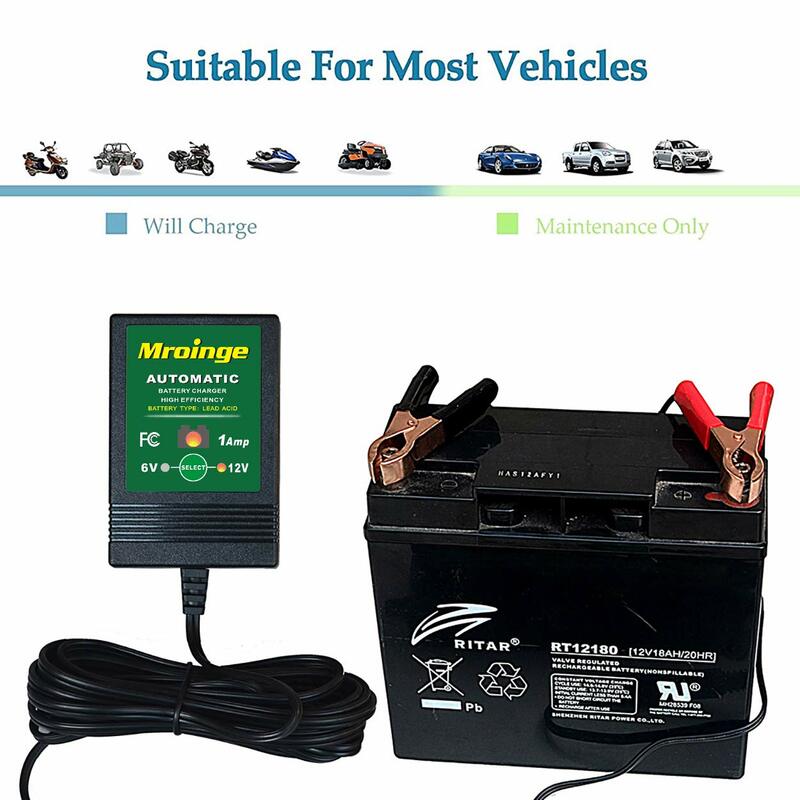 It has a microprocessor controlled fully automatic charger and maintainer and is designed to extend the life of any lead acid battery commonly used in automobiles, motorcycles, ATVs, personal watercraft, RVs, boats, airplanes, golf carts, back-up generator systems, etc. 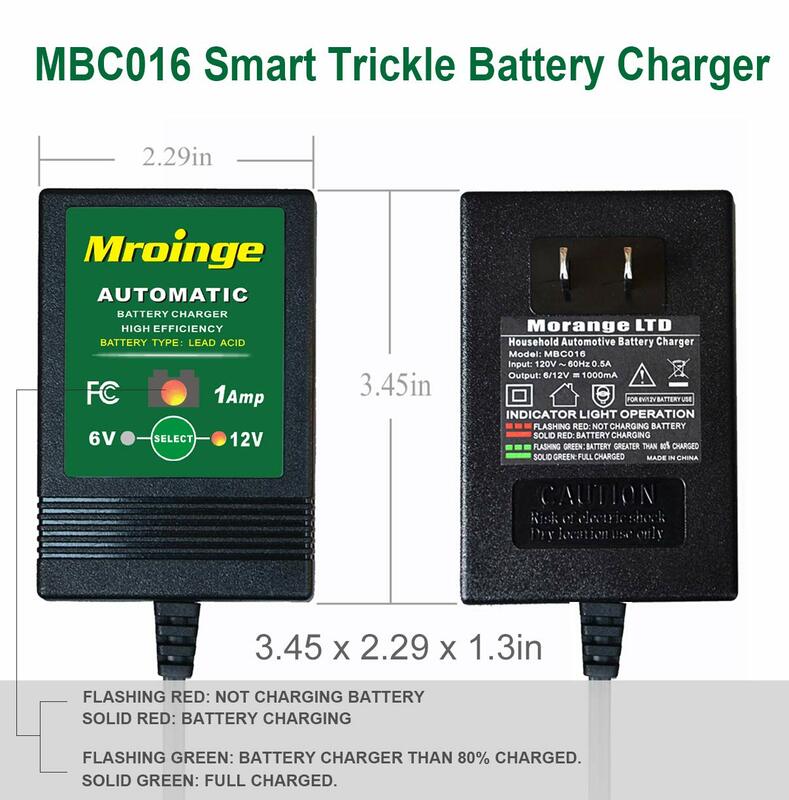 Any vehicle or battery-operated piece of equipment not used on a daily or regular basis is a candidate for a Morange charger. 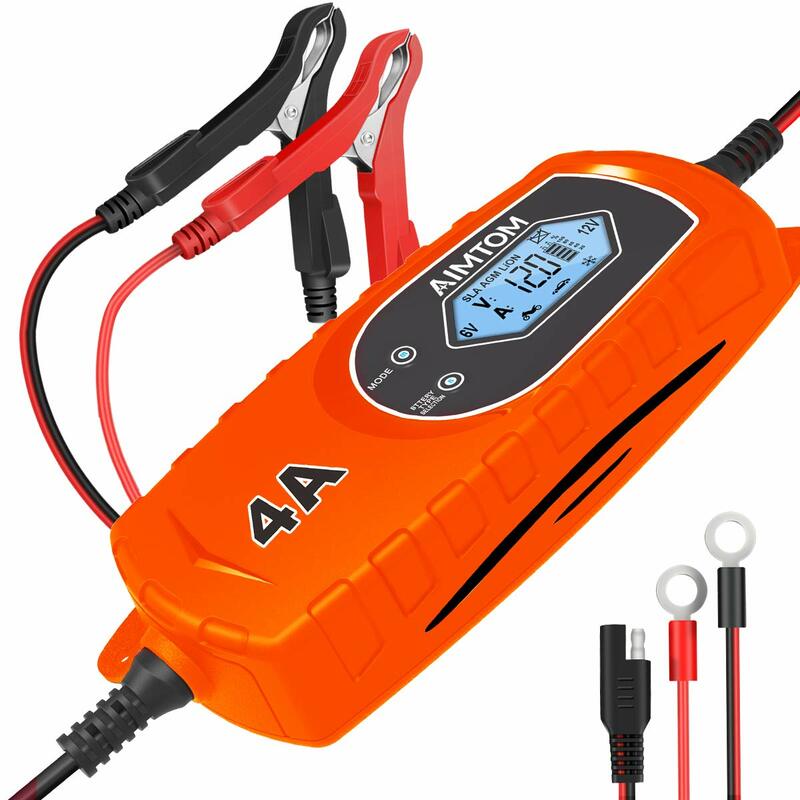 The advanced technology will bring the battery back to a full charge without overcharging and then float or maintain the battery for an indefinite period of time. The Morange comes equipped with alligator clips and O-ring terminals for easy hook up. DC cord total length of 2ft. Warning࿺You MUST NOT connect to 2V or otherunsuitable batteries (e.g. 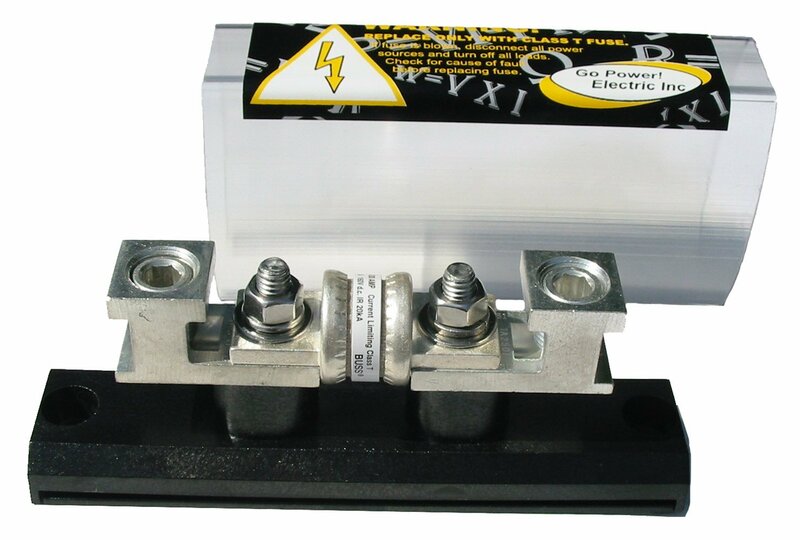 NiCd-batteries). 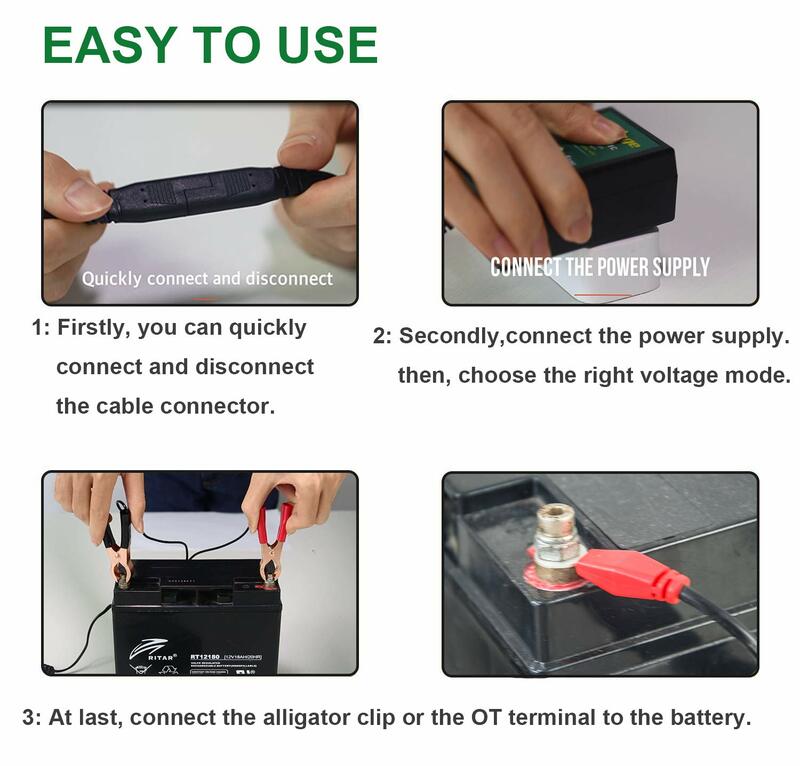 The battery charger is not designedas a power supply.Not following these instructions could cause serious personal injury or material damage. Worked great right out of the box. 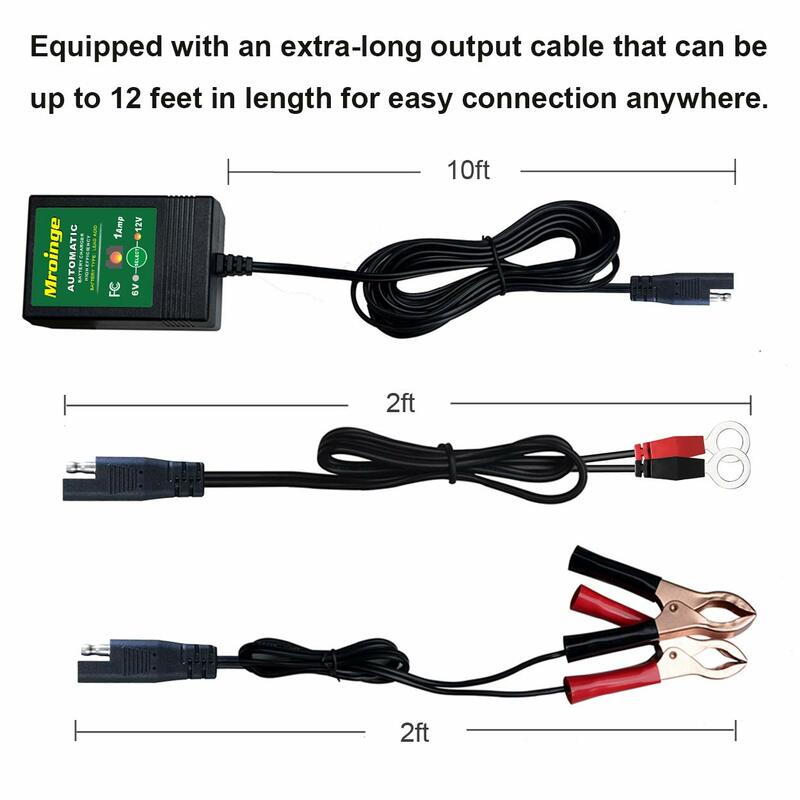 The long 12 volt output cord is a BIG advantage,as it allows me to keepthe battery charger secured inside a storage locker while it keeps the motorcycle battery charged with the motorcycle parked outside the locker. 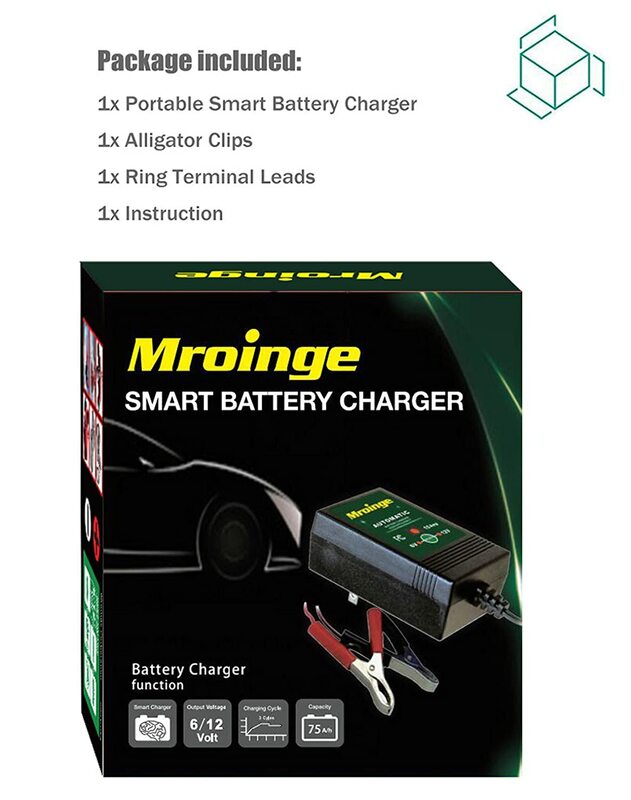 was having a problem with my atv battery and tried out this product on it. It boiled 4 out of 6 cells dry. It did not turn off . don't know if the condition of my battery was the problem or not. might be that the two cells that it didn't boil dry , are dead, and it caused the charging unit to keep charging the rest of the battery and not shut off or go into "maintenance mode". can't recommend or slam the product until more tests are run. 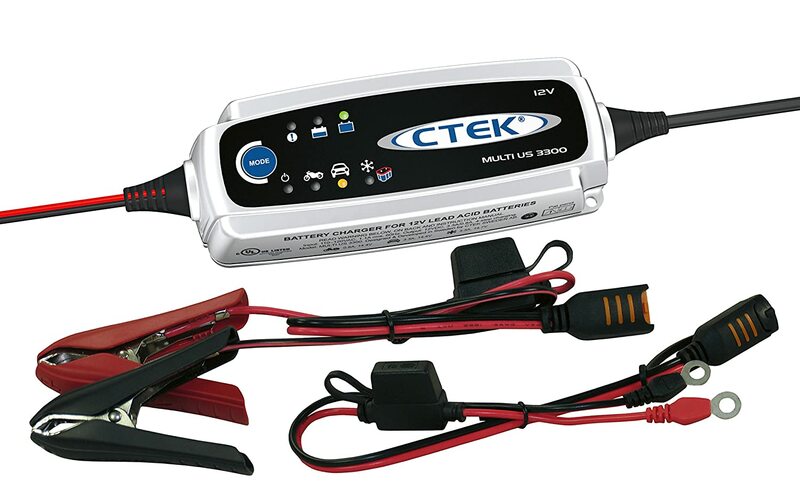 Received quickly, plugged in my truck battery, charged it back up in about 24 hours working great so far. My deep cycle for the RV took a couple days but also working as expected. Had a 4 year old car battery sitting in garage... Took 2 days now its great. Fast delivery. Bought as a battery maintener for my tractor. Performs as expected for a reasonnable price. Delivered early but never worked. 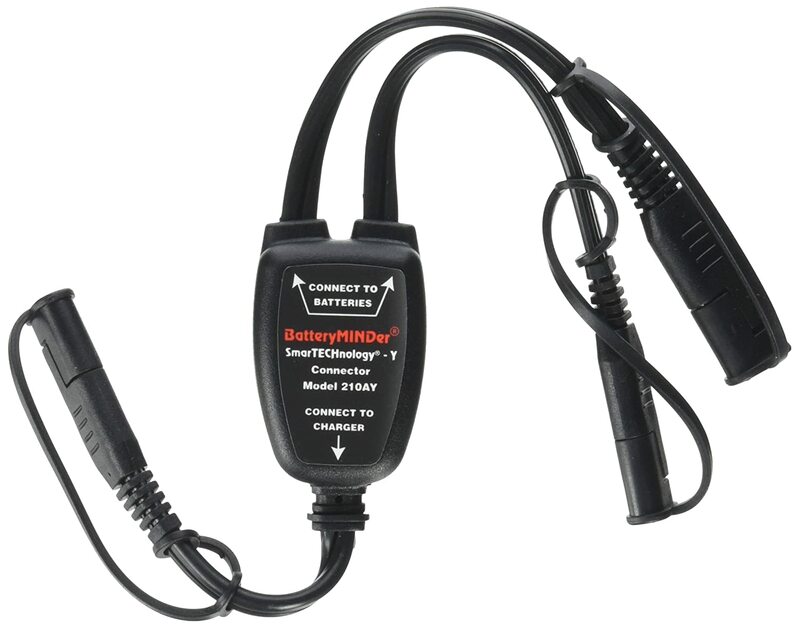 'flashing red light on both 6 and 12 volt settings indicating not charging when connected to battery. Multi meter shows no current. Look bit fragile but does the job.